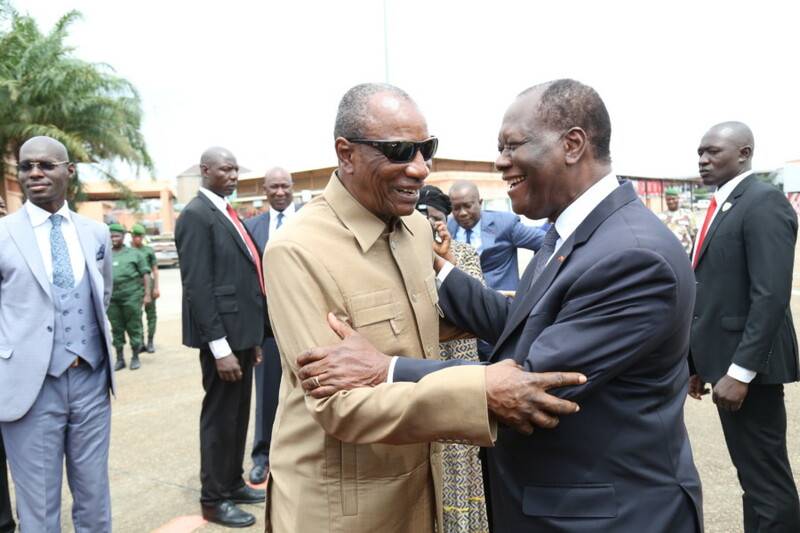 Côte d’Ivoire will seek to resolve peacefully a border dispute with Guinea that has seen an Ivorian village occupied by Guinean soldiers. The border dispute has fueled tensions between the two West African nations for decades. Consultations to agree on the delimitation of the disputed border inherited from the colonial era, has started in Man, the biggest city of western Côte d’Ivoire, 585 km from the Ivorian capital, Abidjan. The consultation, bringing together around 100 participants from both sides, aims to “exchange around cross-border cooperation” and create a permanent framework. The dispute between the two former French colonies dates back to the days of independence. Guinea gained independence from France in 1958 and Côte d’Ivoire in 1960. The western region of Côte d’Ivoire is the most unstable in the country. The disputed area, a little over 600 km long, is home to people of the same communities that regularly fight over the paternity of farmland. The border zone is coveted for its relatively well-preserved forest, which is suitable for growing coffee and cocoa. The area is home to Mount Nimba, which, according to studies, has a potential of a billion tons of iron ore.
Posted by Emmanuel Agbenonwossi on August 30, 2018. Filed under Zoom. You can follow any responses to this entry through the RSS 2.0. Both comments and pings are currently closed.